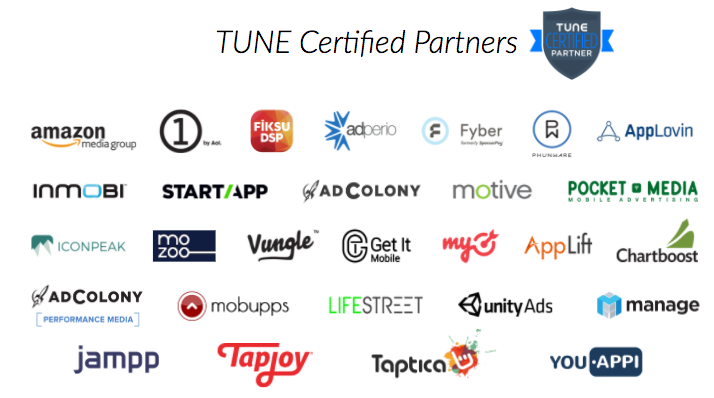 Two years ago at Postback, TUNE launched the Certified Partner Program to set the standard in the industry for mobile marketing best practices. This program has been a true success in guiding marketers to find trusted advertising partners while promoting more transparency within the industry. Constantly evolving, the TUNE Certified Partner Program and its requirements have progressed to ensure relevance and alignment with developing industry best practices. 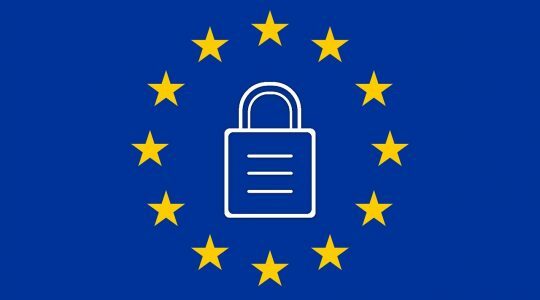 Subsequently, to maintain the integrity and quality of the program, TUNE does annual and on-demand certification compliance reviews to confirm that all existing Certified Partners continue to meet all program requirements. Last Friday during Postback 17, we proudly announced our newest Certified Partners: Jampp, Tapjoy, Taptica and YouAppi. Attaining Certified Partner status is no easy feat. The rigorous certification process to meet the 15 requirements goes above and beyond typical expectations of advertising partners. Some of these conditions include passing ad spend, publisher and campaign data, as well as in-depth vetting by multiple TUNE Marketing Console customers. It’s true that becoming a Certified Partner takes a great deal of dedication and hard work; however, the payoff is worth the hassle. Marketers are taking notice and leveraging the program to help make decisions regarding the advertising partners they choose to work with. 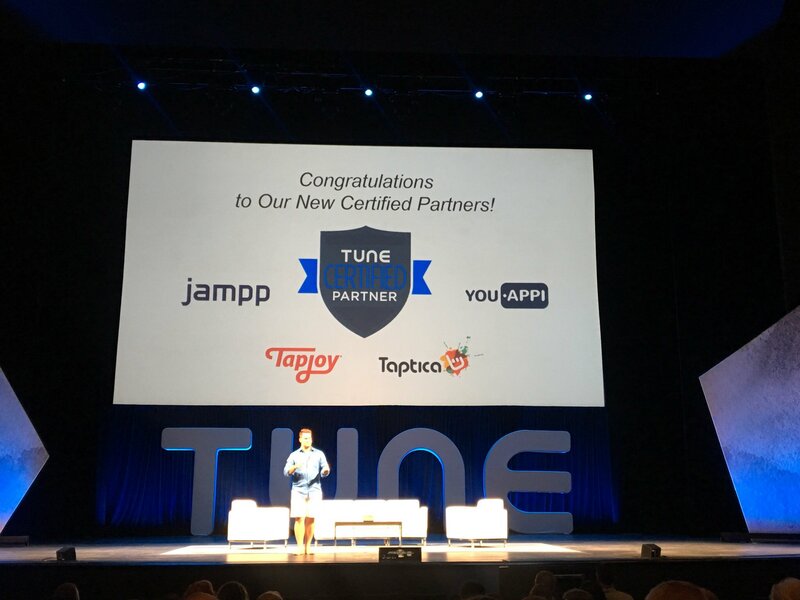 Jampp, Tapjoy, Taptica, and YouAppi have proven their dedication to upholding to the strict standards required to be a Certified Partner. Ultimately, this gives marketers more visibility and trust into the advertising partners that can best help them meet their marketing goals. 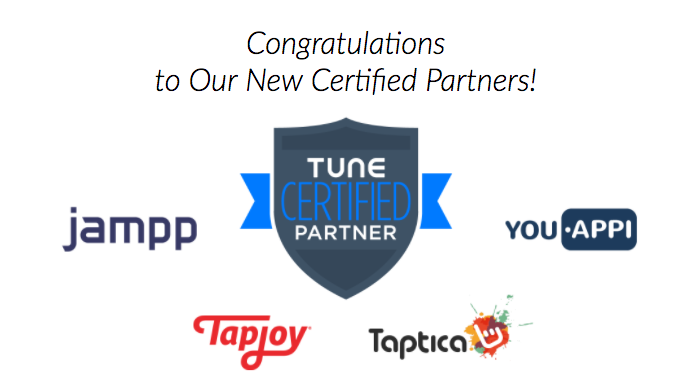 With the addition of Jampp, Tapjoy, Taptica and YouAppi, we now have 28 total Certified Partners. 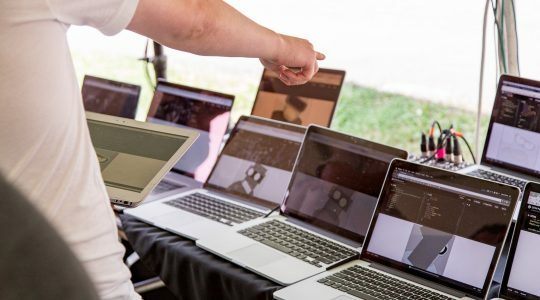 If you are an advertising partner who would like more information about becoming a TUNE Certified Partner, visit our Certified Partner Program page. As Senior Partnership Manager at TUNE, Martijn Meijering’s main focus is developing the Partner Program to ensure that mobile marketers can leverage TUNE’s rich marketplace of integrated advertising and technology partners by driving awareness and adoption of TUNE technology. Before joining TUNE, Martijn had the pleasure to work in the mobile app and gaming, strategy consulting, and telecom industries in various exciting roles such as business development, performance marketing, strategy, and investor relations. With 10+ years of experience, he has passionately traveled the globe for TUNE, GREE, Accenture, and KPN Telecom, living in London, Tokyo, and Amsterdam. Martijn holds an MSc in Engineering from Delft University of Technology in the Netherlands.